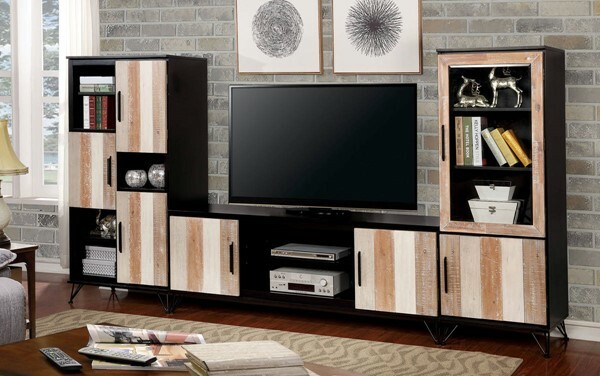 Colorize your living space with this stylish multi-tone entertainment set. The saw blade design along each door panel weaves between light and dark tones, creating soft contrast and eye-catching aesthetic. Spacious cabinets provide plenty of room to organize while paneled doors help you curate decor for a truly personalized space.